When Allegiant Air had its amazing $15 flight promotion, we snatched up a flight to Monterey (sadly, a flight that no longer exists), and we headed to Salinas. Yes, Salinas! You will see the worthwhile reason for our trip in the next post, but here's some Salinas tastiness for now. 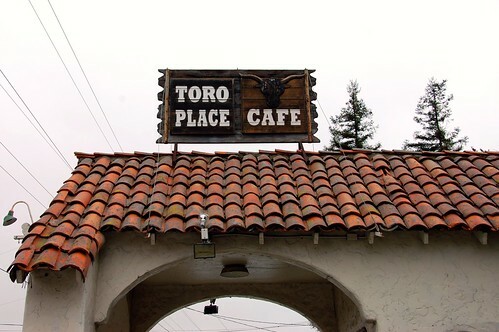 Toro Place Cafe (665 Monterey Salinas Highway, Salinas) is everything a roadside diner should be -- cozy, folksy, and delicious. 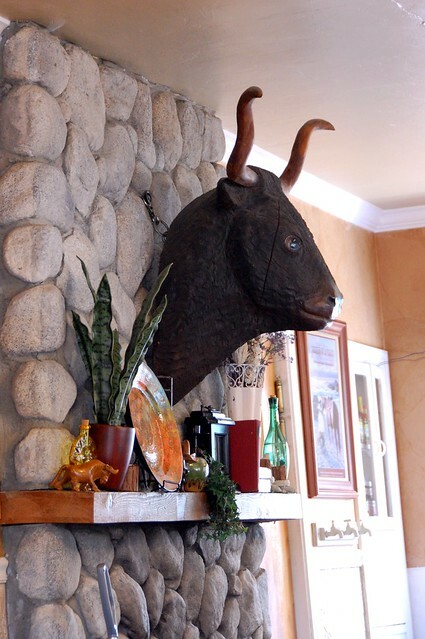 Toro Place Cafe has no shortage of kitschy decor. 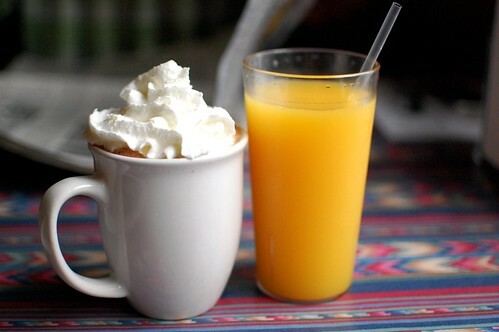 Hot chocolate and orange juice (each $2.50). Look at that whipped cream piled high! Meat Lovers -- ham, bacon, sausage, linguica, cheese ($10.25). Is there any way that we carniwhores wouldn't love this? Meat! Meat! Meat! Rawr! 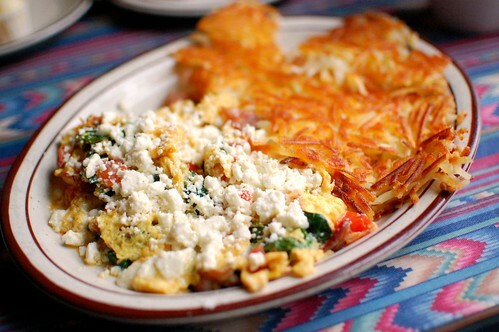 Mediterranean Scramble -- three eggs, bacon, tomatoes, mushrooms, feta, spinach ($10.25). 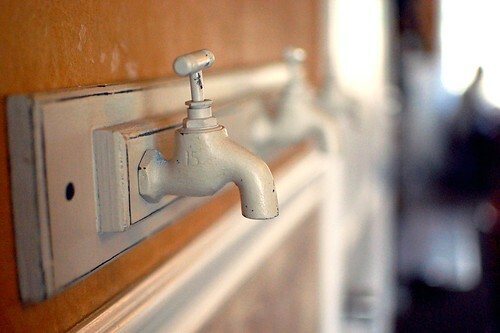 Refreshing compared to the meat. Tee hee hee. 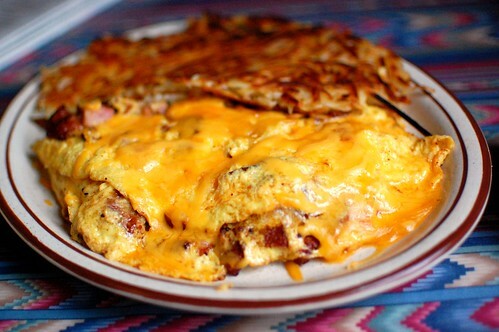 It must be noted that the hash browns with both dishes were absolutely glorious. 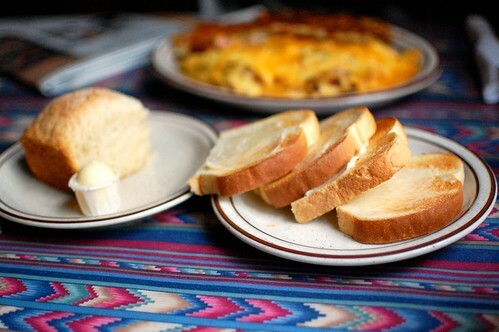 Toast and biscuit sides included with above entrees. Hot and wonderful when slathered with butter. Damn, this looks good. I always order hot chocolate piled high with whipped cream when I go to breakfast, it makes it so much better-haha. Can't believe you got flights for $15, that's amazing. Steinbeck country! YES YES YES! 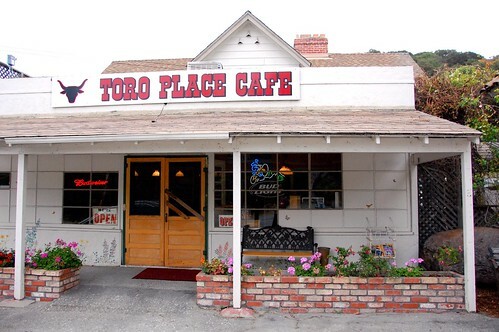 i might have to stop here when we head to monterey in august, yum. 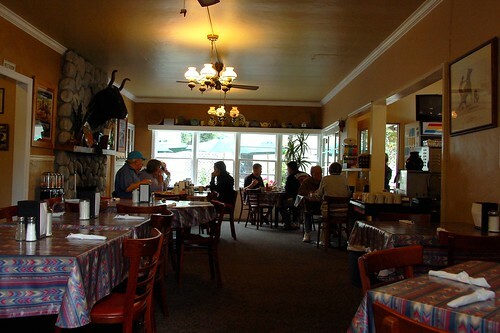 the bear's life quest is to find the best hash browns ever.